The development of fellowship amongst all its Members. Support for the Lord Mayor and the Corporation of the City of London. 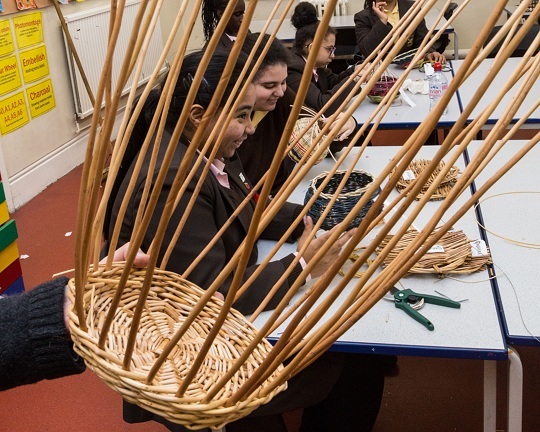 Support for the craft of basketmaking. Support for charity through the Charitable Trust. ​​​​​​​‘Let us love one another’. To demonstrate that we love one another we need to show it. The Trustees are well placed to make good decisions. Each grant is assessed by the Trustees to make sure that our money will be used to best effect. It is unlikely that an individual would be able to conduct this level of due diligence, particularly where the beneficiary is an individual or a small charity. It is a tax efficient way of giving. All that an individual needs to do is to complete the appropriate gift aid documentation when a donation is made. The Trustees will then handle further administration related to the claiming of the tax and ensure that the maximum available amount of money is put to work for good causes. Larger amounts have a bigger impact. By aggregating the donations from various members we are able to make sure that a grant has more of an impact. We are also able to see examples of how our help has made a difference and this can inspire us to continue our great work. Chairman of the Charitable Trust - Graham Aslet (graham.aslet@btinternet.com).